It was the best put-down ever. Although Anthony and I corresponded over various linguistic matters, I met him only once, during a conference organized – I think by the British Council – at Bush House in London, and I think it was in the early 1980s. As that sentence illustrates, I’ve forgotten all the relevant details. I can’t even remember whether I was talking at it, or was just there as a member of the audience. But I do have one clear memory. Anthony had just given a talk, which included a reading from Earthly Powers, and it was question-time. A man in the audience wasn’t at all happy, and took him to task over something in the book that he clearly didn’t like. It was a haranguing statement, rather than a question, and I recall a Burgessian face of patient resignation as it went on. ‘You say in your book’, continued the haranguer, ‘that ….’ and he made some point that I also now forget. ‘I don’t say that,’ intervened Anthony quietly. ‘You most certainly do,’ said the haranguer, blood-pressure building, ‘I have it here’, and he opened the book and began to read the offending passage. Anthony let him go on for a few moments, and then stopped him, saying again; ‘I didn’t say that’. ‘But… but…’ – and as the haranguer struggled to find further words of indignation, he added: ‘My character did.’ The audience roared. For me, it was a lesson in literary analysis and creative writing in a single sentence. 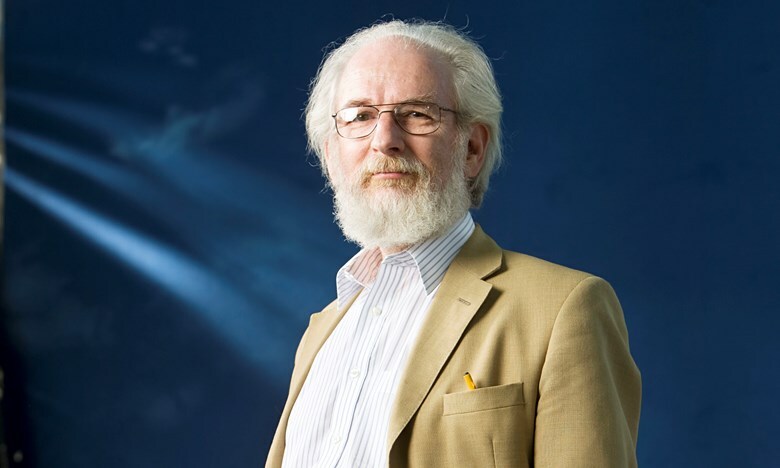 David Crystal OBE is a linguist, academic, and author. He has written books on Shakespeare’s language, the history of the English Language, and English grammar. He is the leading authority on Original Pronunciation of Shakespeare’s plays and has been involved in stage productions all over the world. He is currently Honorary Professor of Linguistics at the University of Wales, Bangor and an Honorary Patron of the International Anthony Burgess Foundation.